It might not hold the tourist-reputation that a region like Sousse has, but to ignore Bizerte when it comes to sightseeing would be a serious mistake. This is a city which contains some of the most fantastic culture around, and for anyone who wants a blend of amazing architecture and history – you won’t be disappointed. Bearing this in mind, let’s now take a look at five of the best attractions in the area, to highlight where you should be heading as you plan your trip to Bizerte. The first attraction that we will look at is a little more unique compared to some of the others. In short, it’s a Tunisian house, where visitors are more than welcome to stay. It’s only been open a few years, since 2010 to be precise, and offers a fascinating insight into Tunisian life. It was built between a Tunisian and Italian couple, who wanted to showcase everything positive about the country in a traditional architecture. As such, if different architectures are your thing, prepared to be amazed on what’s on offer here. It’s not just about “seeing” things here though. You can also cook breakfast with the mother of the owner and naturally, this comes in the form of a traditional, local Tunisian breakfast. If you are lucky enough to arrive in high season, you will also be able to benefit from a belly dancer, who performs in one of the rooms in these periods of the year. 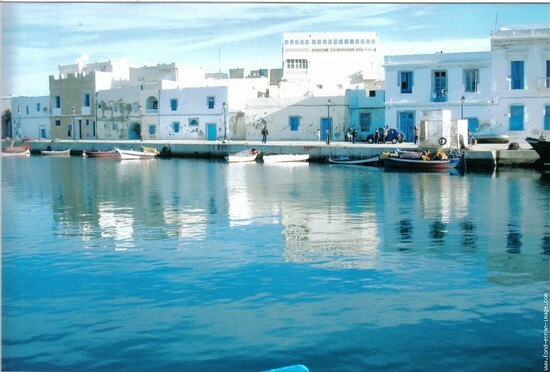 As you will see with some of the attractions we mention, they are not necessarily central to Bizerte. Well, this certainly cannot be said of the old port, which is right in the heart of the city. It’s charming, beautiful and during the day offers plenty of local attractions that can really entice you for hours. We’re talking about small stores and local food establishments, before these gradually progress to slightly more vibrant bistros during the later hours. It would be fair to say that wetlands are very rarely recognized in a museum. Usually, it’s left for visitors to explore them for themselves. This is what makes this attraction in Bizerte somewhat unique. Based in Ghar El Melh, the museum is split into two rooms. The house that it is based in was built all the way back in 1659, which immediately means that it contains some architectural history as well. In short, the museum is all about the history of wetlands in the country. The first room is about the diversity of these wetlands, and just why they are so important to the Tunisian ecosystem. As part of this, it looks at how they affect the main birds and fish which are based there. With the second room, this focusses more on the agricultural and fishing side. Some would suggest that it’s more of a historic look at the wetlands, tending to focus on the 15th and 16th century. While a museum of this ilk might not tend to be appreciated by children, there is a section of the second room that does seem to capture their attention. This is a mini ship (which was actually once real), and comes with all of the relevant sounds and lights that you would expect from such a vessel. This is one of the more interesting attractions in the country and will cater for those of you who like wildlife and general history. For example, it has over 100,000 different water birds, with some of these being some of the rarest in the world (try and spot the sultana hen and marbled teal). Of course, these water birds have one of the best environments they could ask for. The lake which is based inside this park is one of the famous in the land; and was once part of a sequence that spanned across the whole of North Africa. This is most probably one of the reasons it has become such a significant part of the country, having been named as a World Heritage Site several years ago. It’s also something that is by no means small, with the lake sizing up at 83km2. For those of you who want to spend a bit of time reading up about the area, there is an Eco museum out there as well. We’ll conclude with the attraction that is actually furthest away from Bizerte, but the nature of it means that most people are more than happy to travel the 50km or so the journey to Mausoleum of Sidi Ali El Mekki entails. On first glance, Mausoleum of Sidi Ali El Mekki is just a beach that points towards the Gulf of Tunis. It’s only when you start to look around, and delve into its history, that its true meaning becomes apparent. It is widely regarded as the best marabout in Tunisia – mainly due to its location on the mountain. Its 500m2 in size, yet manages to sit as a cave on the edge of the mountain. Its facts like this which make the mausoleum attract countless ceremonies every year – as well as scores of tourists.